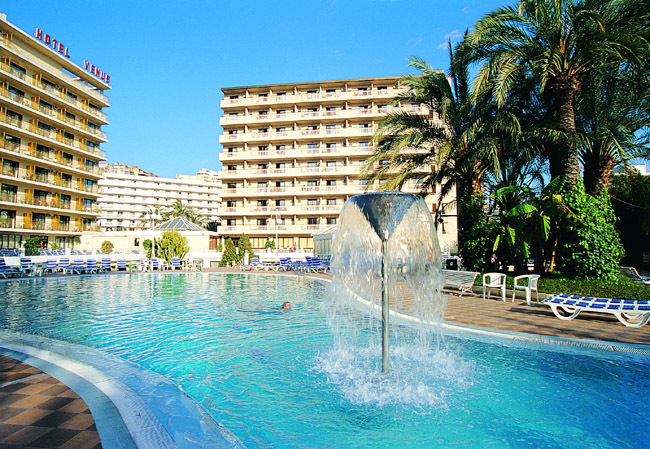 The Hotel Servigroup Venus offers a relaxing atmosphere and is close to the Levante beach. There are plenty of shops, bars and restaurants close by and just a 600 yard walk brings you to the resort centre. The Levante beach is only 350 yards away. Facilities include swimming pool with children's section, sun terrace, pool bar, snack bar, 2 bars, buffet style restaurant, children's playground, safety deposit boxes & entertainment.